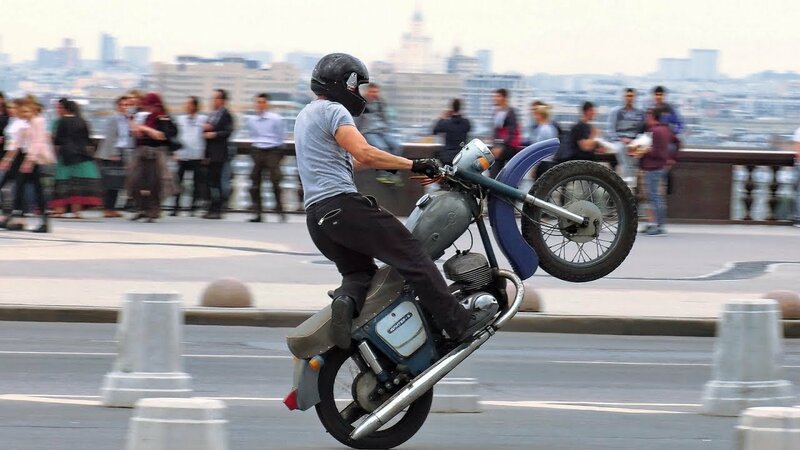 Stunt on USSR retro motorcycle ''IG-Ypiter 3'' and street riding by Alexander Andreev. Video was shoot in Moscow. The car at the beginning is also soviet car named "Volga".